ZIMBABWE is losing billions of dollars through investment agreements with foreign investors because it does not have a pool of competent people to assist in negotiations, Finance Minister Tendai Biti has said. Presenting a lecture to students at the University of Zimbabwe last Friday, Minister Biti said Government lacked a vibrant legal team that should negotiate and draft contracts with foreign investors. He was presenting a lecture on "International Debt Management: The Case of Zimbabwe". "Most Governments have a desk of lawyers that do the drafting and negotiating of investment deals. "In Zimbabwe we do not have that desk. Theoretically, we have the Attorney-General's Office," he said. Minister Biti said the AG's Office had officers who left school about three years ago, hence their inability to handle such important issues of national interest. He said Zimbabwe lost a substantial amount of money when Government gave away a piece of land in Selous stretching over 110km for US$200 million. 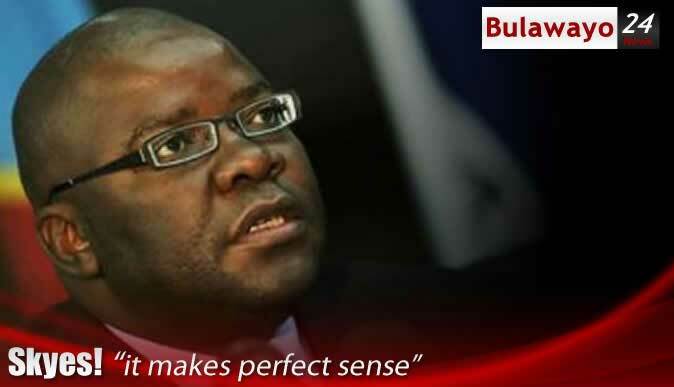 Minister Biti said the land in question had 26 million ounces of platinum valued at US$56 billion. He said Government should have negotiated for an investment contract based on the value of that land. In that case, Minister Biti said, the investor should have released at least US$20 billion as part of fulfilling their part of the investment deal. The Government, he said, denied itself an opportunity of making money through contracts signed with diamond companies in Chiadzwa. He described some of the contracts as "disastrous". Minister Biti said the Government agreed to part away with vast tracts of diamond land for US$5 million. He said the backbone of Zimbabwe's economy was its land, but it was not bankable. "I don't often agree with Zanu-PF, but one issue that I agree with them is when they say land is the economy and the economy is land,"
"It is unfortunate that the 15 million hectares of land that were acquired during the land reform programme had no exchange component, otherwise it is dead capital." On Zimbabwe's international debt, he said the Government had come up with various mechanisms to deal with it. He said efforts were underway to re-engage with multi lateral institutions such as the International Monetary Fund and the World Bank. On illegal sanctions imposed on Zimbabwe, Minister Biti said it was a political issue that was also being addressed at political level. He said Zimbabwe has great potential if it manages to deal with its debt question. "People know the damage of Zimbabwe dealing with the debt question. This country has great potential and we can have an electric rail linking Harare and Bulawayo," he said. On the debt question, Acting UZ vice chancellor Dr Takaruza Munyanyiwa said in 1996, the United Nations through the IMF and World Bank introduced the Highly Indebted Poor Countries initiative to ensure that no poor country faced a debt burden beyond its capacity. He said the initiative was premised on certain conditions that were too strict for the developing nations. In that regard, Dr Munyanyiwa called for an all-inclusive strategy to deal with the debt question. "Honourable Minister, allow me to suggest that an all-inclusive strategy, which includes creating a fair and democratic international trading system and strengthening South-South co-operation, should be promoted in order to deal with debt problems for developing countries," he said.